My First Grove Collaborative Order! I don't know exactly how it took me so long to discover this awesome service, but here I am, finally on board with this family and earth friendly service. Their driving force is the idea that “The best natural, healthy and effective products for your home & family should be the easiest to get.” In this day and age, that's what we're looking for when it comes to spending our hard earned dollars. We already use and love the Mrs. Meyer's cleaning products as well as several other brands that the Grove Collaborative program offers so it was a no brainer for us to just jump in and try it out. Our first order will arrive later this week, I'll share our goodies, as well as our experience with you when it does. Until then, if you visit their site Grove Collaborative (using this link) you will be able to take advantage of receiving a $10 credit to use! Is it strange that I'm super excited to get CLEANING PRODUCTS in the mail? Because I am!! 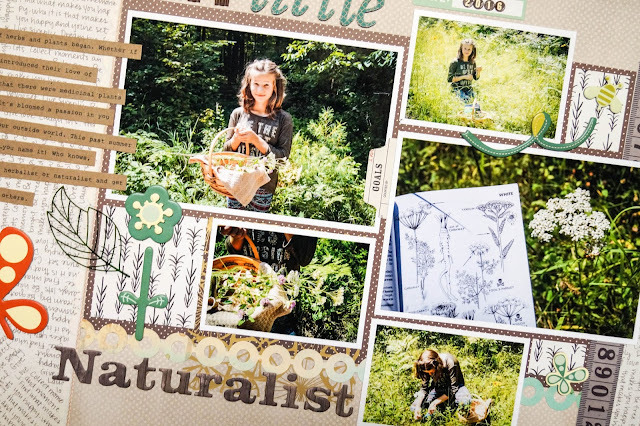 Sharing another scrapbook layout today...these photos are from this past summer when Zoey was in the thick of her love of identifying different plants and discovering what they were known for, where they grew, etc. I'm so excited again for this spring and summer to watch her passions for herbs and plants hopefully grow even more. It's been awhile since I've done a two page layout, every-time that I do though I'm reminded why I love them so much! I love getting to put several photos on a page and share as much journaling as I want. Two pagers definitely allow for that. 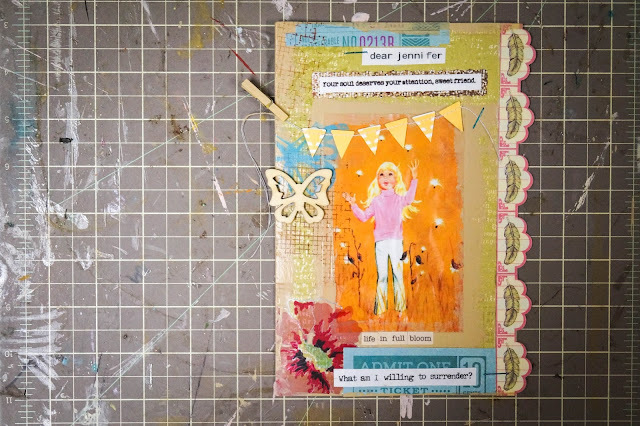 Everything that I used in way of supplies for this layout is from my existing scrapbook stash. Even though it would be fun to have some new goodies, it feels good to be using up what it is that I have already. 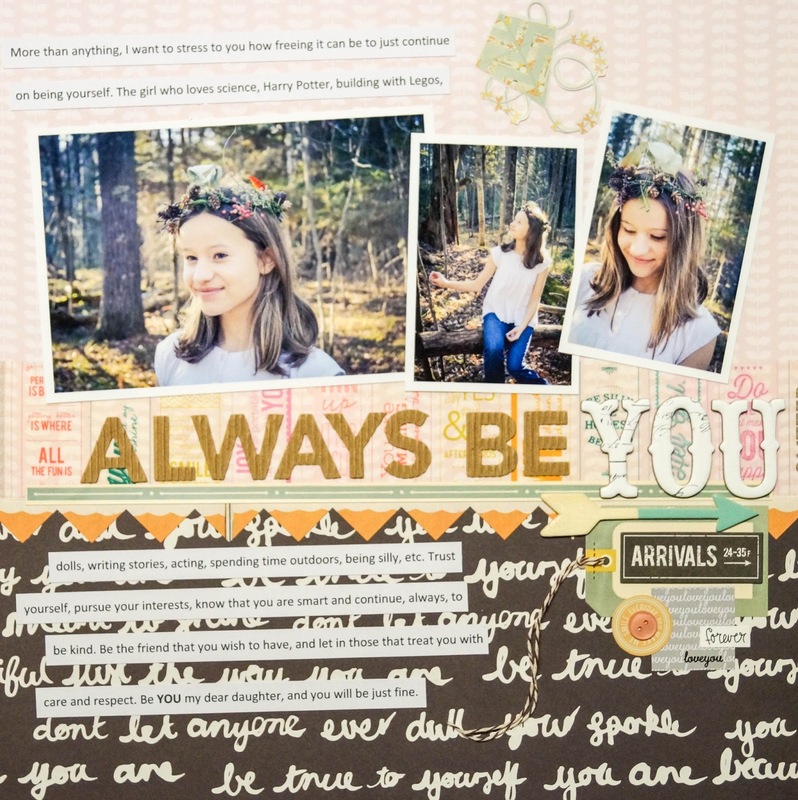 I love it when a scrapbook layout just comes together on it's own. 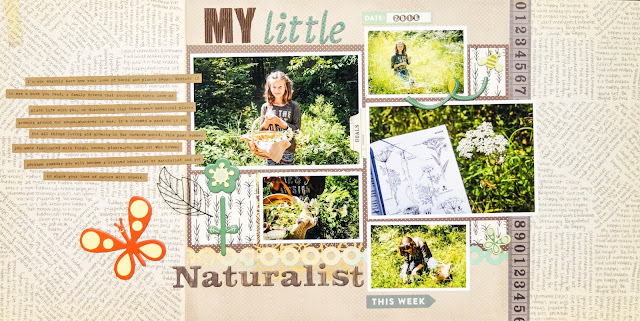 A lot of times I will go online and look for a sketch or at other layouts for inspiration, but for this one it started with knowing that I wanted to scrap these particular photos and things went from there. 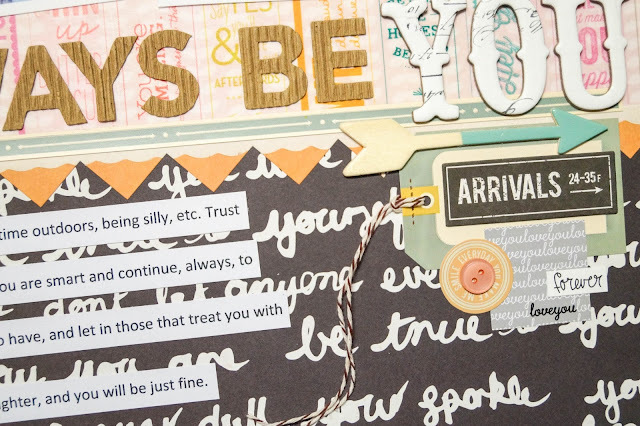 I found the text covered patterned paper in my stash (Pink Paislee's - Bella Rouge, So Lovely) and I knew it was perfect. From just the photos and that paper I went through my scrapbook stash and added in little bits here and there until you get what you see here. I adore this page. Mostly due to the photos of my beautiful, sweet girl but also because it says what it is that I wanted to say. Sometimes that's a struggle, but for this layout, it just worked. I've been finding myself wishing for the good old days when Two Peas in a Bucket was still around so that I could go and see what's what in the scrapbooking world again and to crush on my favorite designers and manufacturers, etc. 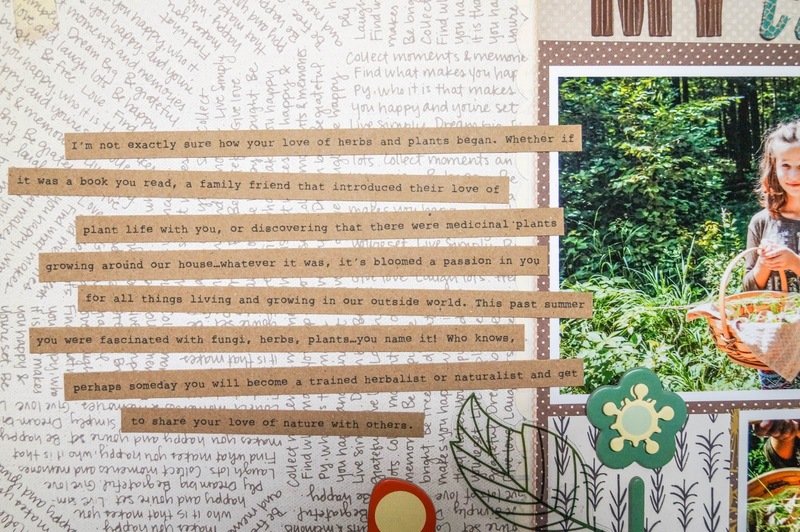 Is there a new place to go online for scrapbooking and papercrafting inspiration? 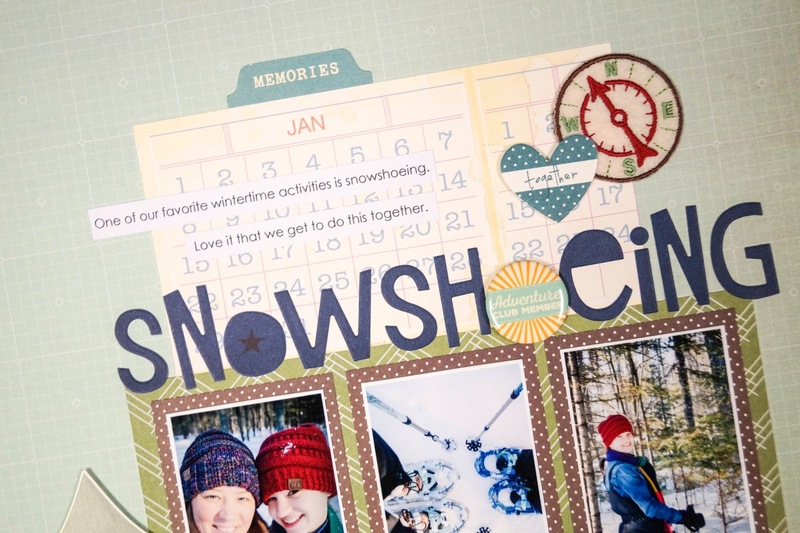 Would love to hear where it is you go for your 'go to' place for scrapbooking inspiration these days! So, yesterday was a fantastic day! What was so amazing you ask? 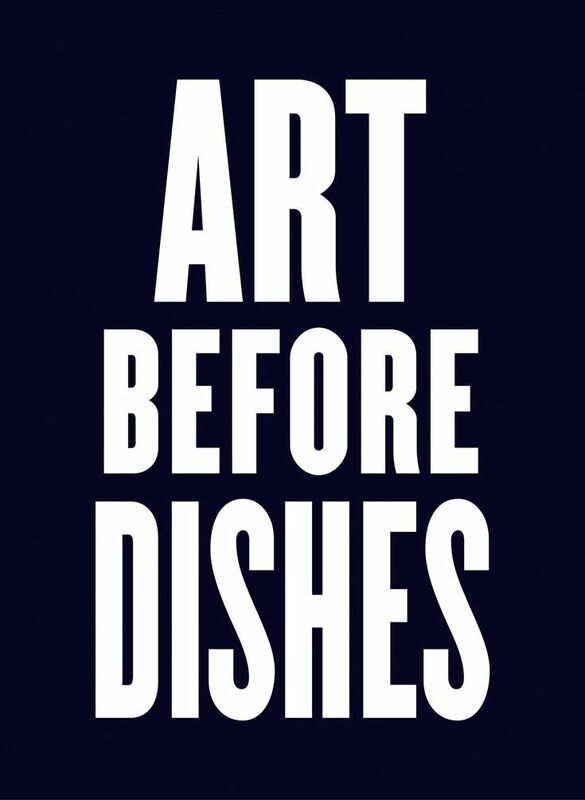 Well, I got to stay home...all day...I spent some time art journaling, took some time to scrapbook, enjoyed a bath using my bath bombs from Christmas and cozied up in my plush bathrobe afterwards and I got to read a bit from a book that I wanted to read that was just for fun...for me!! It may sound silly, but it's been way too long for all of these things to happen, let alone just one. Feeling happy and loved at the moment. The gift of time is definitely my love language...sometimes I just need to make it happen for myself, even if it means sacrificing the dishes or the laundry. 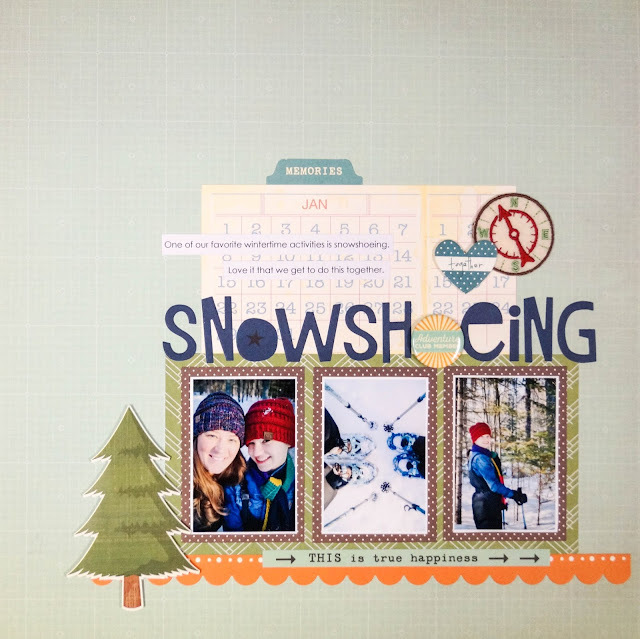 This layout is using photos from a recent outing that Zoey and I went on which consisted of us snowshoeing in our woods. We both got snowshoes a few years back (a gift from Santa) and I'm so glad that we did, as it's something active that just the two of us can enjoy. Bonus, it's something we can do just walking out our front door. Love that. 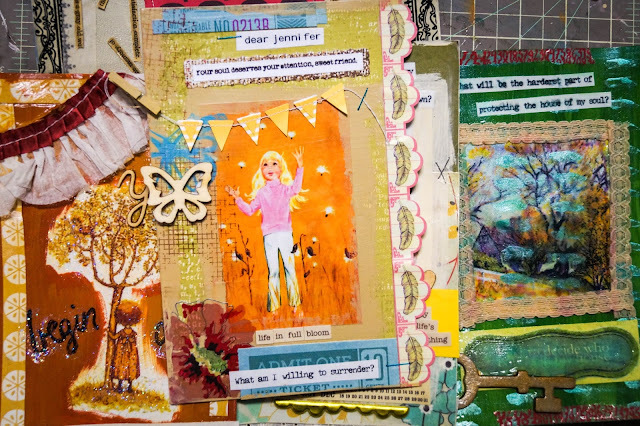 The cardstock stickers, papers and embellishments are all random items from my stash of oldies but goodies. Wishing you a beautiful and productive week! It's been awhile...more than awhile actually. Life has a way of getting in the way of my creative efforts as of late. I was feeling a bit melancholy today and wishful for some time to be creative. 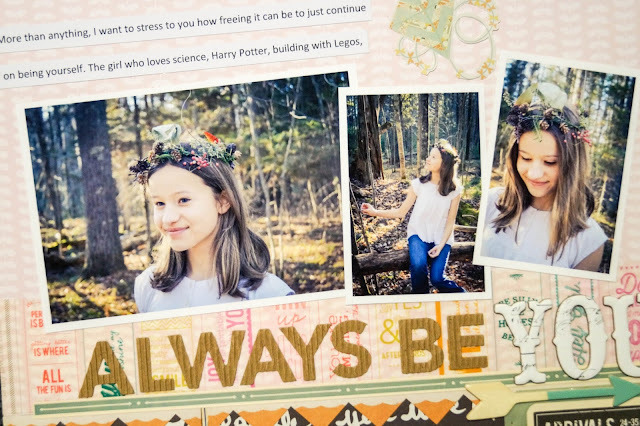 I don't currently have any photo paper so couldn't do any scrapbooking so I worked on a little art journal page instead. It felt good to just sit at my desk and play a bit with my papers, paint and mod podge. I have to make a date with myself to do this more often...and I need to place an order for photo paper!